This is always a crowd favorite, or better yet a quick delicious hot meal. Using the Shredded Chicken as your base and a few simple added ingredients, you will quickly find yourself with an abundance of flavors bursting in your mouth. The Italian Chicken Sandwich is best served warm and it takes only minutes to toast the bun under the broiler. It’s easy to throw this sandwich together with these ingredients. Sauteed onions and mushrooms add to the texture and of course flavor of this sandwich. I like to purchase sliced mushrooms for a quick easy way to add to any recipe. Don’t forget to wash your mushrooms as they are typically covered in a fine layer of dirt. 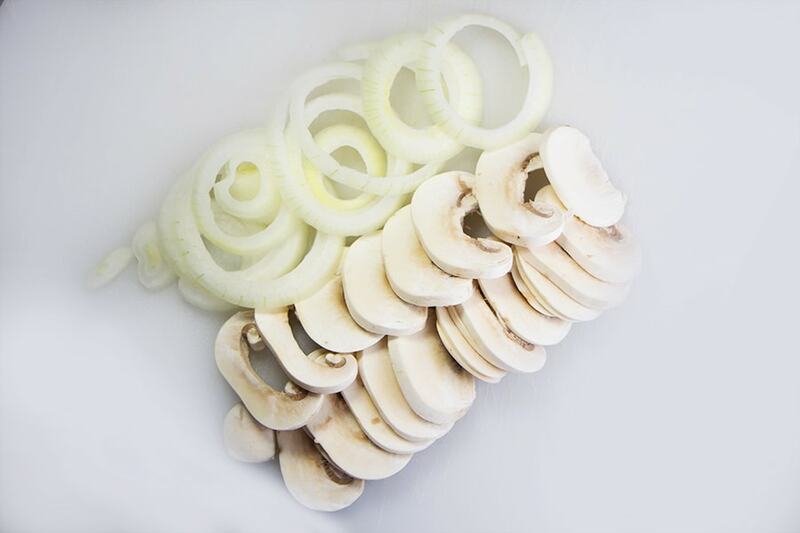 In a frying pan add 2-3 tablespoons butter and cook your sliced onions and mushrooms over medium heat. I prefer to cook them long and slow and allow the flavors to meld together for the perfect sandwich. Toast your roll under the broiler with a little butter spread on both sides. It only takes a moment and will add to this sandwich. Then add your shredded chicken, sauteed onions and mushrooms, pour a generous dousing of Italian Dressing and a slice of your favorite cheese. Pop it back under the broiler to melt the cheese and you are set to go! You can dress this meal up or down, depending on your circumstances and time you have. Add some fresh fruit and chips or take the time to make Summer Broccoli Salad to complete this delicious meal. 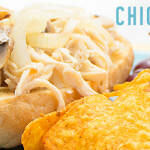 Packed full of Italian flavors this Chicken Italian Sandwich is a go to recipe. 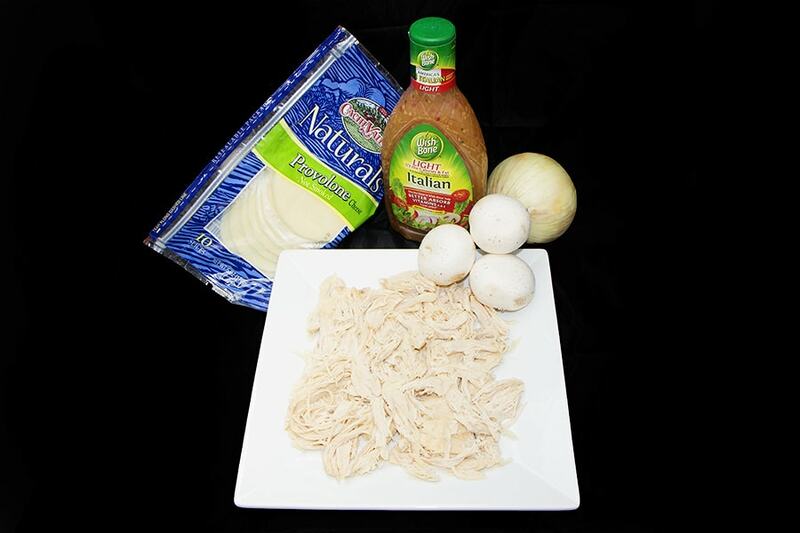 Take 3 cups of shredded chicken and pour 1/2-3/4 cup of Italian Dressing on top and toss to coat chicken. Set aside. In a large skillet and over medium heat, place sliced mushrooms and onions in 3 tablespoons of butter. Sauté until onions are transparent. On a large cookie sheet, lightly butter rolls and place in oven under broiler to toast bread. Watch closely as they will brown quickly. 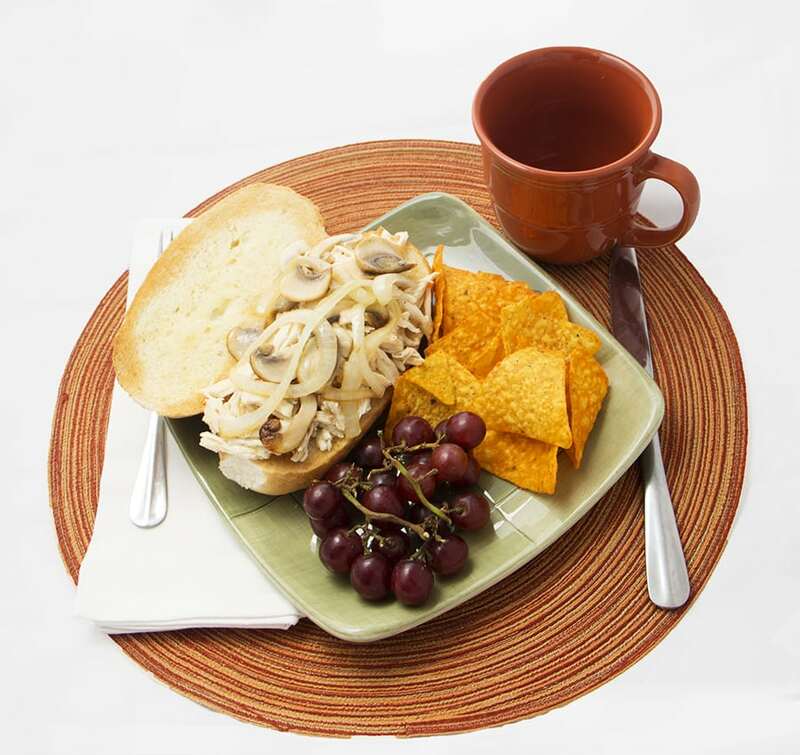 Remove from oven and place 1/2 cup Italian chicken on roll and top with sauteed mushrooms and onions. Place cheese on top and place back into the oven under broiler to melt cheese. Remove from oven and enjoy! Place 3-4 chicken breasts in crock pot. Salt and pepper to taste, add 1 cup chicken broth, 1 garlic clove crushed and allow to cook on low for 6-8 hours. Remove chicken and shred, then follow the above directions. Add 3-4 chicken breasts to your Instant Pot. Add one cup water or broth to the bottom. Salt and Pepper chicken breasts. Add 1-2 tsp garlic. Cook on Manual for 18-22 minutes. Allow to natural release for 15 minutes and quick release the remaining. Remove chicken and shred. Then follow the above directions. Another winner. A very flavorful sandwich. I the extra tips you add to your recipes,such as putting butter on the rolls and broiling them.